Dr Katherine Drayson’s PhD explored the treatment of ecology in the English planning system. After leaving academia, she worked for nearly three years in the think tank Policy Exchange. During this time she presented at the 2015 British Ecological Society Careers Conference, and we wrote it up! If you want to learn more about work in a think tank, check it out here. Since then Katherine has moved into local government. She’s now a Senior Policy and Programme Officer in the Greater London Authority. She spoke at our Government and Policy Researcher Careers Forum in February, and now she’s been kind enough to tell us about her career journey for our blog. I was lucky enough to gain funding for interdisciplinary PhD research from my university. But unless you work on a few select topics, like climate change, it’s really very difficult to obtain funding from Research Councils for interdisciplinary research. I didn’t like the idea of having to justify my research every three to five years. I also didn’t like the fact that my work would likely never be read by anyone who could make a difference (let’s be honest, no-one reads theses, and very few policy makers have access to paywalled journal articles), so I decided to leave academia, initially for the think tank world. I always knew about the public sector as a career, mainly because the Civil Service advertises very effectively. But I wasn’t so aware of opportunities outside the Civil Service, i.e. in local government. This developed while I was working at a think tank. London is unique in being the only form of regional government left in the UK. This means we can work more strategically to help change things for the better. Whilst I was working at Policy Exchange, I was lucky enough to be invited to join the Green Infrastructure Task Force, which was chaired by the Deputy Mayor for Environment & Energy. Through that, I got to know some of my current colleagues and became interested in the work they were doing. By speaking up in Task Force discussions and contributing ideas, I was able to make a good impression. There’s no such thing as ‘normal’! For the past seven months I’ve been working mainly on the London Environment Strategy, which is a big project bringing together eight existing separate strategies into one coherent (and shorter!) document. It’s involved a lot of learning (not least coming up with concepts for infographics) and some long hours. But it’s one of the best opportunities in recent times to improve London’s environment – it’s very exciting. Apart from the Strategy, I also work on smaller projects, some of which I designed myself. For example, I am working with the GLA’s GIS team to develop a map that will help decision-makers better target funding for green infrastructure improvements. Shortly after I arrived, I was also responsible for managing a £450,000 programme of sustainable drainage retrofit projects across the city, and on my own initiative created some webpages to highlight the good work that was done (more learning required!). The fact that you can get involved with almost any project or programme that takes your interest. And if you make a decent business case, you can create your own. The flexible working environment is also great. I also love that there’s a continual learning curve, whether it’s creating and editing webpages, or improving your GIS skills. Although I don’t need to take advantage of it, I understand that the support for parents is also outstanding. It’s a perennial challenge to avoid siloed thinking and working (as with any organisation, large or small), both in your team and others. The environment cuts across many different topics, so we have to work hard to make contacts and connections across workstreams. A challenge with any role is the deadlines that you have to meet. In the case of the public sector, these can be unusually challenging, as you not only have to respond quickly to new situations, but your briefings and reports also have to go through several layers of sign-off, which means even less time is available for writing them. A PhD is inessential for my role. However, the skills I developed during my PhD are either useful or essential. For example, I am now the ‘go to’ person in my team for Word and Excel questions because of my experience in formatting a thesis, and in managing and analysing a spreadsheet database (e.g. using Pivot Tables). I taught myself GIS during my PhD, and so also create maps and analyse spatial data for others in my team. Setting up a twitter account during my PhD also helped, as I was asked to help manage the Environment team twitter account when our comms lead was on leave. I’m lucky in that my thesis topic is relatively relevant to my work. Although it was more specialist than I need, the PhD gave me a good understanding of many of the issues that local government faces when it considers the environment as part of the planning system. 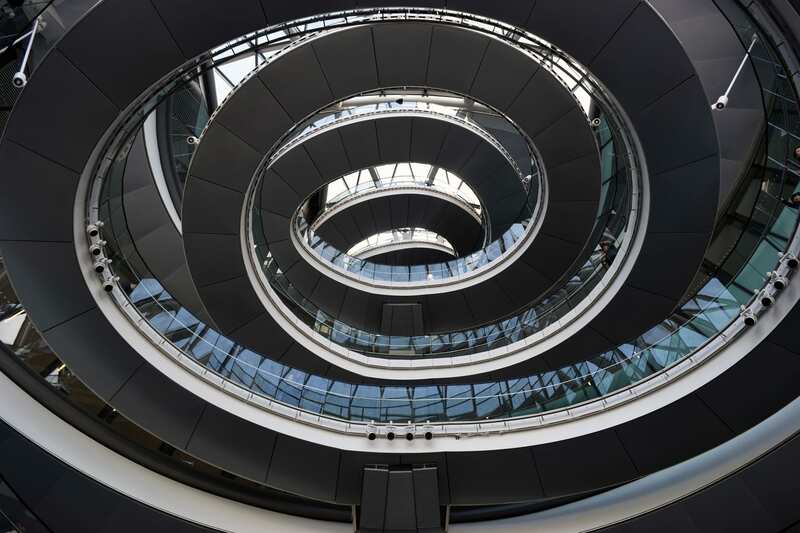 I really enjoy working for the GLA – I’d like to stay in the Environment team as long as I can (with a new Mayor, there are always opportunities for progression). But I’m also curious about working in the Civil Service and utilities companies at some point in my career. Though since my career so far has mainly been a series of lucky opportunities, who knows? Develop the art of writing under pressure and to a tight deadline! Also work on distilling messages down as far as possible without losing their meaning – this is a useful skill whatever role you go into. Very few people are interested in the minutiae or in nuance. It’s important to understand the political context of the organisation you’re working for – both internally and externally. Read the news, sign up to the organisations newsletters, scope out the website (you can pick up a lot about an organisation from how it’s structured and how easy it is to find information). Try and talk to people who are already working there to get an idea of what the work and working life is like. Attend conferences and events on the topic you’re interested in, and make a beeline for the relevant public sector attendees (good events will have an attendee list). And make sure your social media profile is clean and professional! PhD to Consulting Conference at UCL in September – guest blogs wanted! We’ve just got wind of an event for anyone considering moving into consulting, and it’s happening right here at UCL. See details below. And if you do attend, please get in touch with us at careers@ucl.ac.uk if you fancy writing a guest blog about what you learned afterwards. Thanks! The PhD to Consulting (PtC) Conference is a one day annual event targeted at PhDs and post-doctoral researchers interested in pursuing a career in consulting. Confirmed firms include: BCG, McKinsey, Ernst & Young, Deloitte, L.E.K., OC&C, Navigant, Cranmore Executive Search and many more.